It’s time to get down to the nitty-gritty…my top five favorite videogames of all-time. Coming up with a best 25 was hard to do since I have been twiddling my joystick for quite some time now…since Atari – get your minds out of the gutter! 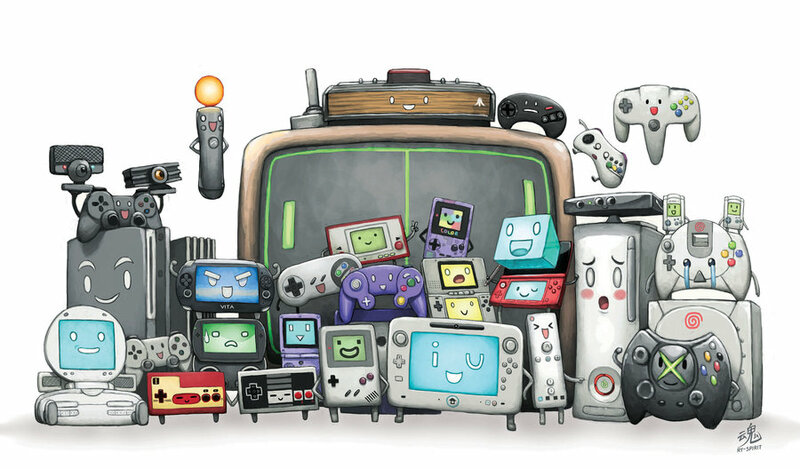 I can bet with quite certainty that some of my favorite games are long forgotten and left off this list, but for the sake of picking 25 games I looked at the ensemble of consoles and PC games I played over the years. I think I captured the breadth of my favorite games across a spectrum of genres. To put them in order was another task all-together since each game provided a different experience at a different point in my life. So, I would place less emphasis on where the game is on my list and pay more attention to the fact that it made my list at all. Of all the games I played in my life narrowing my favorites down to 25 speaks volumes of the game’s impact on me. Enough rambling, let’s get on with my final five! Do you think that 23 Resident Evil games (including remakes) have watered down the franchise? I think so. Despite what the game has evolved to over the years, several of these games provided countless hours of horror & fun over three consoles: Xbox 360, Playstation, and Nintendo Gamecube. 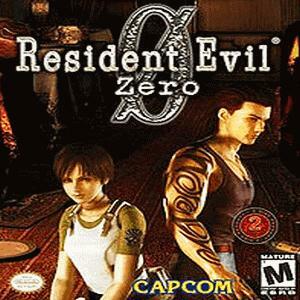 The games that entertained my psyche are Resident Evil, Resident Evil: Director’s Cut, Resident Evil 2, Resident Evil 3: Nemesis, Code Veronica, Resident Evil Zero, Resident Evil 4, Resident Evil 5, Operation Raccoon City, and Resident Evil 6. Though, I have to admit the latest of these games since RE5 have been lackluster and disappointing, I keep playing them for some reason. It was early on that I found horror gaming fun. I remember playing that first Resident Evil game in a room full of grown men jumping when dogs would crash through windows and zombies would come out of nowhere about to make that fatal bite. The puzzles could be seriously challenging at times especially on Code Veronica. The suspense was fantastic and the story was pretty deep even for the time…1996 for the first release. The voice acting was a bit weak in those days, but overall it provided a unique and fun gaming experience. It was probably the first time where the player would sit and watch a story play out with the characters on scene. By now we are all pretty much desensitized to these kinds of games and it’s harder to become scared though some games still do it well. Resident Evil has morphed into more of a Call of Duty meets zombies and for that reason the game is more action based and much less suspenseful. Also, the creators seem to think that by making the big boss as big as possible is somehow supposed to impress us. I once heard bigger is not necessarily better. Perhaps the creators should not try so hard to make a final boss so big. I keep hoping the franchise will return to horror and puzzle solving vs. fast-action shooter style. Nevertheless, for what the game did for me in those early years warrant a high placement on my all-time list despite the fall of a great gaming experience in recent years. After doing several “best of” lists centered on music, it’s time to turn attention to my favorite videogames. Coming up with a best 25 was hard to do since I have been twiddling my joystick for quite some time now…since Atari – get your minds out of the gutter! I can bet with quite certainty that some of my favorite games are long forgotten and left off this list, but for the sake of picking 25 games I looked at the ensemble of consoles and PC games I played over the years. I think I captured the breadth of my favorite games across a spectrum of genres. To put them in order was another task all-together since each game provided a different experience at a different point in my life. So, I would place less emphasis on where the game is on my list and pay more attention to the fact that it made my list at all. Of all the games I played in my life narrowing my favorites down to 25 speaks volumes of the game’s impact on me. Enough rambling, let’s get on with the list!